That's all we can say to the lower mortgage rates that breezed by in May. Mortgage rates moved notably higher over the past week. The prime 30-year fixed-rate conventional loan led the brigade. It reclaimed the 4.625%-to-4.75% range it had abandoned for lower terrain last month. We explained last week why mortgage rates had moved lower. Market participants were edgy over the crisis du jour – the prospect of Italy leaving the European Union. Market participants are prone to extrapolate: If Italy leaves, then France and Germany leave and the 20-year-old Euro-integration experiment goes kaput. Call it "catastrophization" on steroids. Market participants are also prone to "toddlerism." The Italy "crisis" held the market's attention for as long as a jangling set of keys holds a toddler's attention. It didn't hold it for long. Italy was a deflationary event. Bond yields fell as bond prices rose. Mortgage borrowers who locked a week ago were the beneficiaries of the deflationary event. The tide has since turned. Market participants are now fixated on a new set of jangling keys – an inflationary event. The European Central Bank could announce that it will end quantitative easing (QE) within the next week. The European Central Bank's version of QE involves asset purchases that inject new money into the banking system. If QE ends, money supply growth will slow. The corollary will be rising interest rates. At least that's what market participants anticipate. Yields on sovereign debt in Germany, Spain, and Italy all rose over the past week. And why is the European Central Bank willing to engage rising rates? Inflation. The European Central Bank's QE asset purchase program is scheduled to run through September, but a rise in Eurozone consumer-price inflation (CPI) to 1.9% on an annualized rate in May has helped set the stage for the great unwind. Investors sell bonds when they anticipate rising interest rates. Bond prices fall, yields rise. That's been the case in Europe. Our central bank, the Federal Reserve, has already engaged rising interest rates (also due to rising inflation). Indeed, we expect the Fed to announce another increase – 25 basis points – in the federal funds rate this Wednesday. Traders in fed funds rate futures contracts are betting a 93% chance that the rate will be increased. They're betting there is an 84% chance of at least one more fed funds rate increase before the end of the year. They're betting there is a 40% chance of two more increases before the end of the year. The impetus since January has been for interest rates to rise, and they have. The impetus is for interest rates to continue to rise. With the Europeans now favoring rising interest rates, the impetus has strengthened (both here and abroad) over the past week. We expect that we'll see 5% rate quotes on a 30-year fixed-rate mortgage sooner than later. We wouldn't be surprised to see them before the end of summer. Important. Rising consumer-price inflation will enable additional interest-rate increases. Important. The Fed is expected to raise the fed funds rate by 25 basis points. Fed officials will likely foreshadow additional rate increases. Moderately Important. Strong job growth holds sentiment near a multi-year high. Strong sentiment is a plus for the outlook on housing. Borrowers jumped on the mortgage-rate reprieve that occurred over the waning days of May. 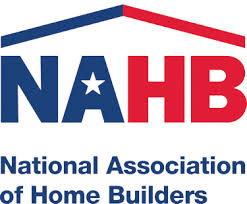 The Mortgage Bankers Association reported a 4% increase in purchase activity in its latest weekly survey. Given the recent spike in rates, a lesser number associated with purchase activity will likely be reported in the next survey. A mortgage might be a little more expensive going forward. The good news is that mortgage availability continues to increase. CoreLogic recently surveyed the landscape and finds that it really is easier to qualify for a mortgage these days. The trend has been toward loosening underwriting standards for some time. Fannie May began accepting mortgages with LTV ratios up 97% in 2014. Freddie Mac followed in 2015. The debt-to-income ration was raised to 50% last summer for loans Fannie Mae buys. The FICO score has been the one constant. It has held at 755 on average for a conforming conventional mortgage. The average was 705 in 2001. It spiked higher and has held higher since the 2008-2009 recession. Given the strong outlook on jobs and economic growth, the FICO score could be the next variable Fannie Mae and Freddie Mac review for easing. We expect the trend of easing underwriting standards to continue. We expect it to continue with the prudence shown since the recession.